Have you or someone you love suffered from a surgical error? 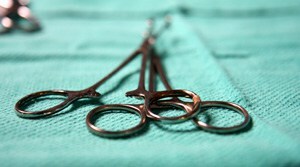 The maxim “everybody makes mistakes” simply does not apply when it comes to surgery. When we go in for surgery and the anesthesia starts taking effect, we are literally placing our lives in the hands of the surgeon. We trust in that person’s training, experience and competence. When mistakes are made, the consequences can be catastrophic, even deadly. As the largest personal injury and workers’ compensation law firm in Illinois, we have the resources and experience needed to handle extremely complex surgical error litigation. In our more than 30 years as an Illinois law firm, our attorneys have obtained more than $2 BILLION for our clients in verdicts and settlements. Some of these errors are proof in themselves of some kind of medical malpractice. Operating on the wrong body part is a classic example. Without someone making a serious error, this type of thing simply does not happen. In most other cases, though, establishing negligence is not as simple. In addition to our team of more than 30 attorneys, we have a team of in-house investigators and a network of expert medical witnesses and other professionals to help us with our clients’ surgical error cases. We have the resources needed to win even the most complex surgical error, personal injury and wrongful death cases. If you have been harmed by a negligent surgical error, talk with one of our attorneys to learn more about your legal options.